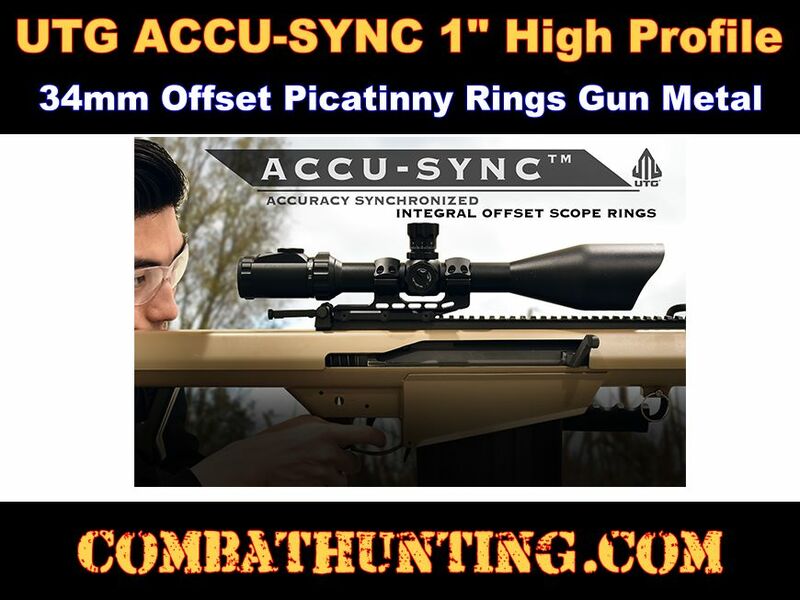 The AIR1223G Gun Metal Cerakote UTG ACCU-SYNC 1 inch high profile 34mm offset picatinny scope ring mount is a precise fit on MIL-STD-1913 picatinny rails. This UTG Offset Scope mount for rifles is precision CNC machined from aircraft grade aluminum and finished in a matte Gun Metal Cerakote. Significant lightening cuts to massively reduce weight without compromising durability. The radiused edges and corners are to prevent snagging, scratching, or tearing of other gear and for effortless access to scope windage and elevation turrets. Single mount utilizes locking torx screws and square-shaped integral recoil stops for a secure zero hold. 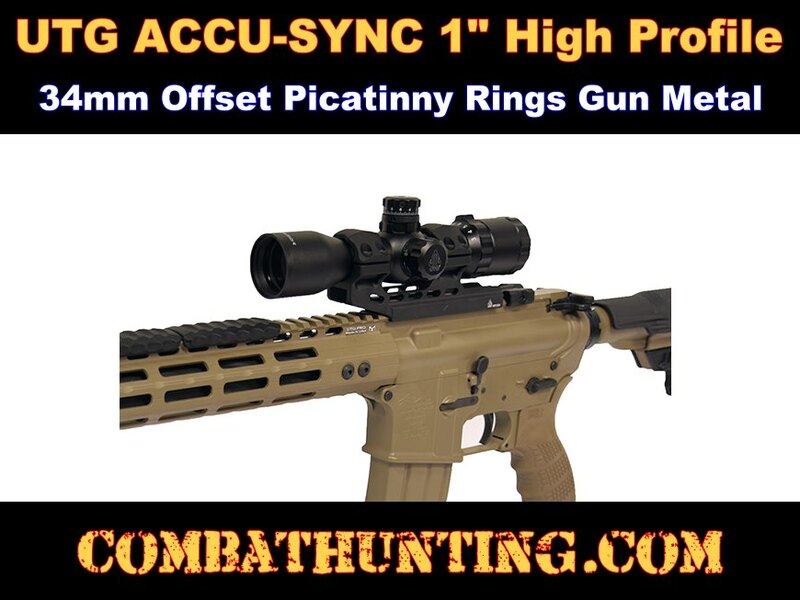 Has 22mm saddle height, 34mm offset distance, 100mm base Length, high profile fits 1 inch scope tube on optics with up to a 69mm outer objective Diameter. Includes a T20 Torx wrench for simple and user friendly installation.